I am the fairest of the fair, aside from my freckles that is. All summer I struggle to stay protected from the sun. 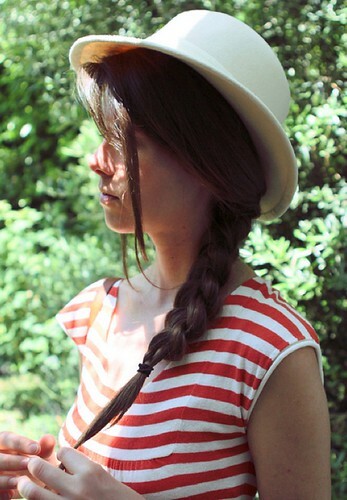 I love spending time outdoors though so wearing a hat is my favorite way to look chic and protect my skin. 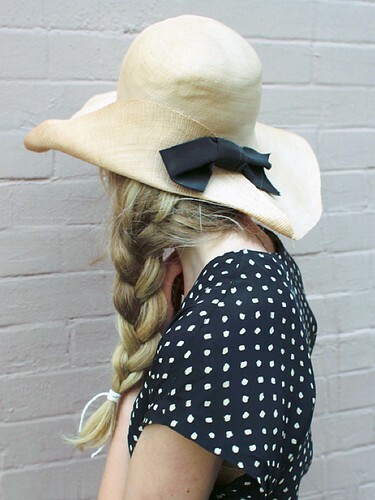 I’m totally inspired by these braided/ hat topped beauties. Do you wear a hat to shade your face? What kind? I mostly don a soft straw fedora that I got over 5 years ago from a great millinery in SoHo aptly named The Hat Shop. make sure to snap a picture…maybe I’ll post it! oh yay! so happy to hear that Olivia. You are helping your skin stay healthy and helping the world to see how chic you are!! !